No code needed. Click the button to redeem your discount at crabtree-evelyn.com. 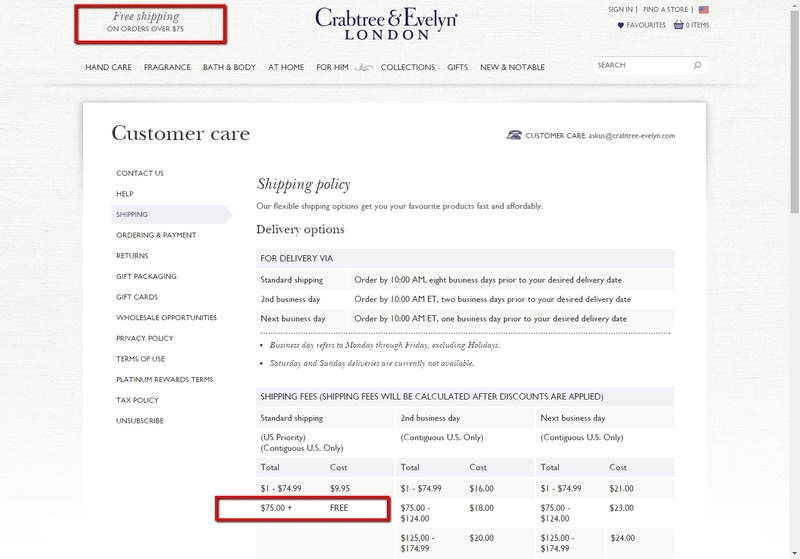 Leng-Leng Just tested this deal for Crabtree & Evelyn and verified that it gives you Free Shipping on Orders Over $75.